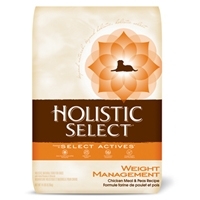 Holistic Select Weight Management - Chicken Meal & Peas Recipe 14 lb. 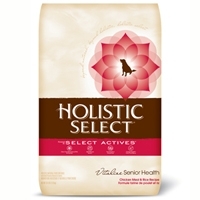 Holistic Select Vitalize Senior Health Dog Chicken Meal & Rice Recipe 15 lb. 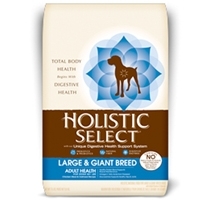 Holistic Select Adult Health Large & Giant Breed Dog Chicken Meal & Oatmeal Recipe 15 lb. 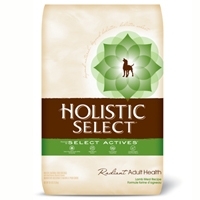 Holistic Select Radiant Adult Health Dog Lamb Meal Recipe 15 lb. Holistic Select Radiant Adult Health Dog Duck Meal Recipe 30 lb. 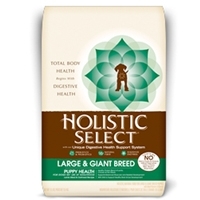 Holistic Select Radiant Adult Health Dog Duck Meal Recipe 15 lb. 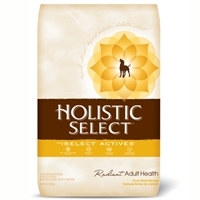 Holistic Select Radiant Adult Health Dog Anchovy, Sardine & Salmon Meal Recipe 30 lb.